Press Statement on the Arrest and Parade of WASSCE Question and Answer Syndicate by the Lagos State Police Command. WAEC would like to emphasize that the question papers for the ongoing WASSCE for School Candidates , 2018 did not leak. 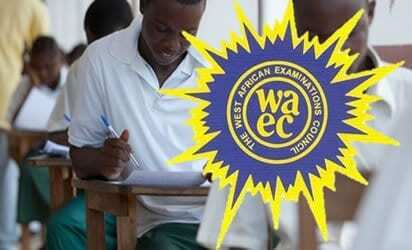 WAEC wishes to reiterate that the integrity of the ongoing WASSCE for School Candidates, 2018 has not been compromised as no single case of leakage or foreknowledge has been established. Arrest and Parade of WASSCE Question and Answer Syndicate by the Lagos State Command of the Nigeria Police. The Council wishes to highly commend the efforts of the Security Agencies, particularly, the Nigeria Police which have been collaborating with it in the fight against examination malpractice. In particular, the Council wishes to commend the Inspector General of Police for directing the IGP Monitoring Team which have been collaborating with the Council in the past two years. This collaboration with the IGP Monitoring Team resulted with the arrest of some individuals connected with the Syndicate in different locations around the country early last year. The individuals were paraded at the Force Headquarters, Abuja and subsequently charged to court. The Council hopes that this collaboration will continue so as to checkmate the nefarious activities of these unscrupulous individuals. Leakage can be said to have occurred when the question papers gets into hands of individuals who are not supposed to have them before the time scheduled on the timetable. Without any iota of doubt the Council wishes to state that no case of leakage has been established since the beginning of the examination. Our monitoring and investigations of the ongoing examination have established the fact that certain School Principals, Invigilators, Supervisors and Candidates who had succeeded in smuggling mobile phones and other electronic devices into the examination hall, snap the question papers after the examination must have commenced and forward to their criminal collaborators who in turn provide solutions to the questions and send to their subscribers via rogue websites, sms, WhatsApp and other social media. An effective solution to the menace of rogue websites can either be the jamming of mobile networks within a specified radius in and around the examination halls or the shutting down of the internet throughout the country during the period of the examination as has been done in some countries but those are beyond the powers of the Council. It is worthy of note that the Council has the capability and capacity to detect and punish candidates who must have benefited from the fraudulent activities of the operators of rogue websites and WhatsApp platforms. Furthermore, the Council is willing to collaborate with well meaning Nigerians, Civil Society Groups, Corporate Organisations that are ICT inclined, Telecom Companies, States Ministries of Education, Deposit Money Banks, relevant Security Agencies, the Media and other stakeholders to neutralize the threat being posed by examination malpractice to education in Nigeria. Once again, the Council wishes to reiterate that the integrity of the ongoing WASSCE for School Candidates, 2018 has not been compromised as no single case of leakage or foreknowledge has been established. We want to assure the general public that the activities of the rogue websites and fraudulent WhatsApp platforms that peddle solved answers for a fee would not affect the integrity of the ongoing examination.